This week (from 25 March) we are rolling out our new method for accessing online Library resources: OpenAthens. 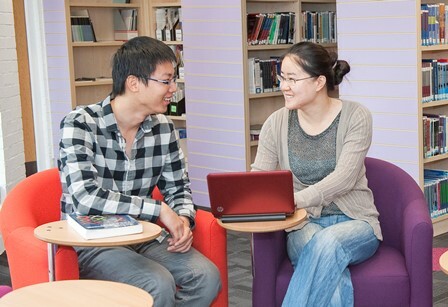 You will still need only your Cranfield username and password to access the majority of our Library resources. Off campus users may have to select “Institutional access > OpenAthens” rather than “Institutional access > Shibboleth”. As each resource transitions to OpenAthens, Shibboleth access will no longer work for that resource. This change from Shibboleth to OpenAthens will help us reduce problems associated with extranet access (some key resources are not compatible with the extranet), and sets up future work to reduce the number of different off-site login routes customers must use to access full text. Those who access the Kings Norton Library intranet site from off campus will notice they are now presented with a pop up box rather than an extranet log in page. Please just use your usual University network username and password to log in, as previously. We would encourage all customers not to use the extranet to access library resources in the future. We know that our Library services are important for your research and we appreciate your patience as we roll out this change. Lauren helps take care of eResources and customers at the Shrivenham campus; Cranfield Defence and Security. Contact her on libraryresources@cranfield.ac.uk.